I am using this category as a catch-all for everything shellfish: Crabs, clams, squid, mussels, etc. even though squid and octopus are not technically shellfish. 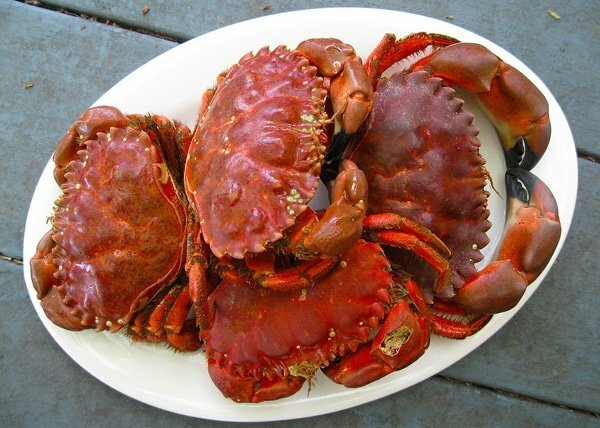 Most of the recipes are for the shellfish and crustaceans I catch, but a few are for store-bought seafood. Here’s how to get all the sand out of clams you dig yourself. This is how you clean the big gaper clams of the Pacific Coast, the horsenecks, butter clams and geoducks. 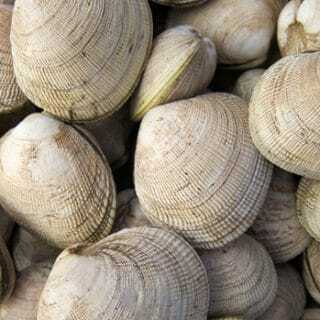 Shellfish: Clams, Mussels, Scallops, etc. 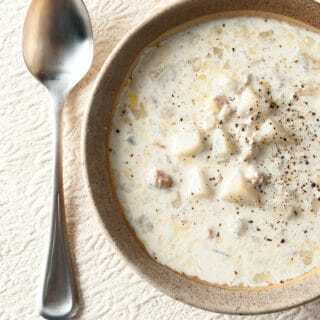 This is my mum’s recipe for clam chowder, and even though she grew up in Massachusetts, her mother came from Maine. 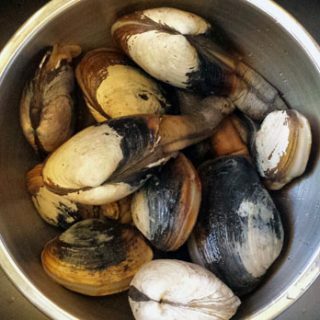 This is a Downeaster recipe heavy on clams, light on cream. 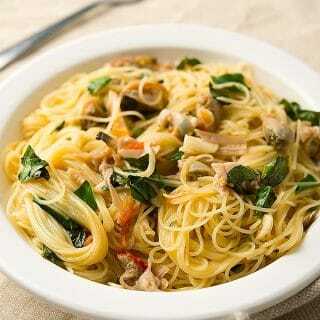 An Italian-American tradition, this is the linguini with clam sauce we all know and love, only I prefer it with thin vermicelli or even angel hair. No matter the pasta, this is a damn good sauce. 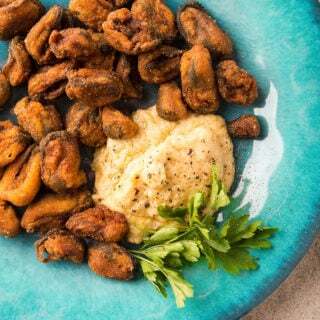 I love fried clams. A lot. 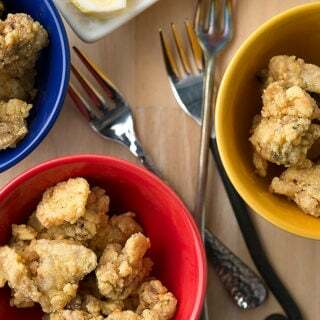 Here’s a traditional recipe for fried clams from New England, where they take them very seriously. Think of these as a savory clam beignet or donnut hole. They are made of awesome. 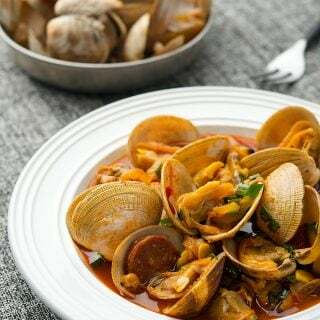 A Spanish standard, the combination of pork and clams is divine. You’ll need dry Spanish chorizo for this recipe. A classic Italian dish to be eaten over pasta, or with lots of crusty bread. 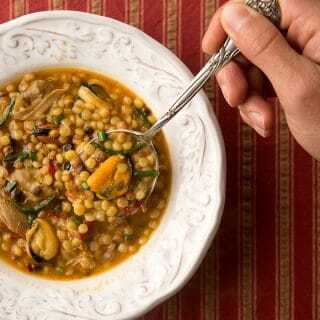 My take on the Sardinian soup fregula kin arsella, which is normally done with clams. 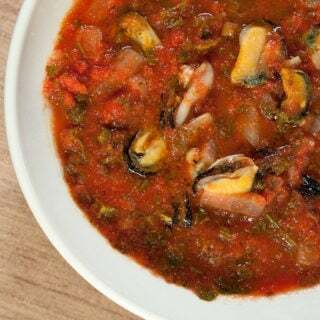 Here I use both clams and mussels, which bathe in seawater with lots of fregula pasta. 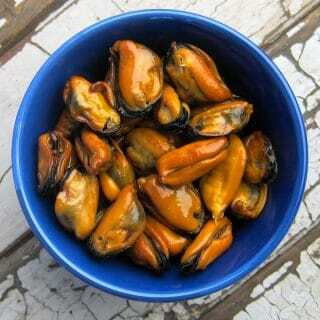 Possibly the best thing you can do to mussels. They taste as good as they look. The second best thing you can do with mussels. 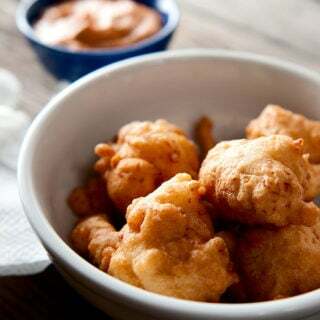 Fried in a light breading, Greek style, these will disappear fast at a party. 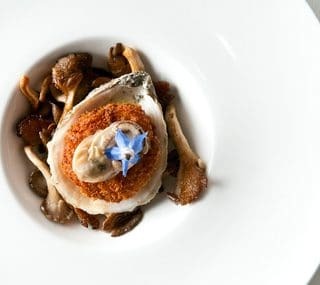 A lightly pickled oyster, oyster mushrooms and an oyster plant croquette. One of my favorite dishes ever. 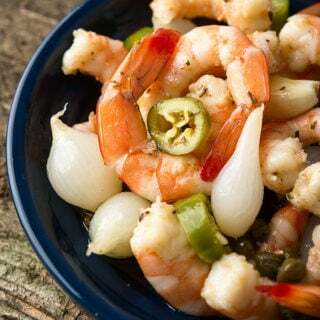 A Southern classic, pickled shrimp is a perfect hot weather appetizer that’s just as good in winter. 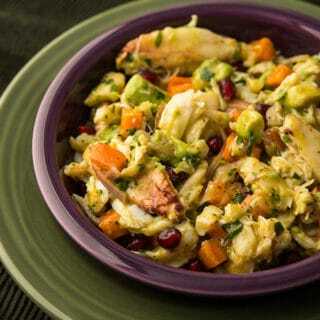 I love this salad, which features all sorts of ingredients in season here in NorCal around Christmastime. 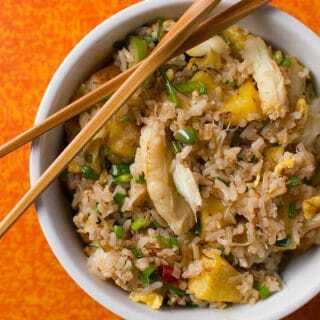 A Thai or Vietnamese-style fried rice made with crab and pineapple. 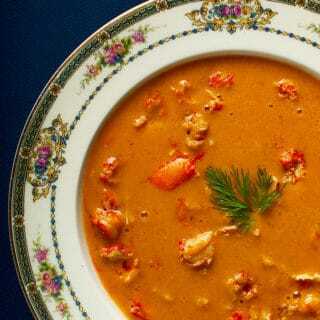 A French classic, crawfish stock, butter and meat gives you a triple hit of crayfish flavor. In high summer, the Scandinavians go mad for crayfish. 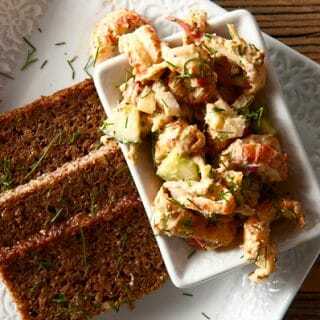 Here is my version of a classic crawfish salad. 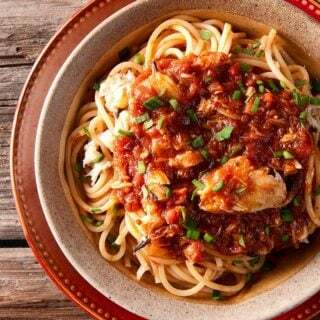 A rich, wonderful crab sauce for pasta. 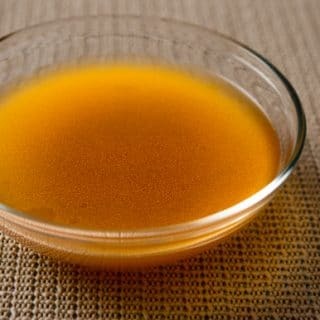 It’s made with crab meat and a deeply flavored crab stock from the shells. 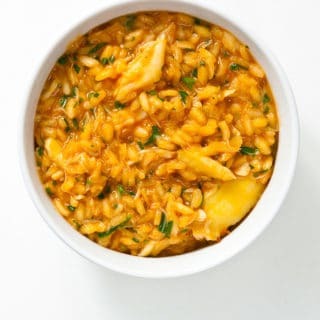 Another dish that combines crabmeat and crab stock, this time with risotto rice and a little tomato. 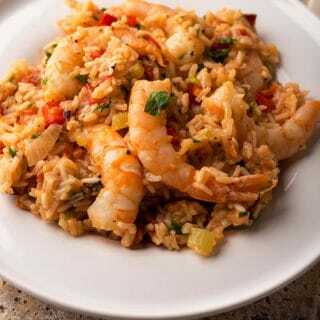 A little like a jambalaya, only from the Lowcountry of Georgia and South Carolina. Meet the finest shrimp in all of North America. And then cook him simply. 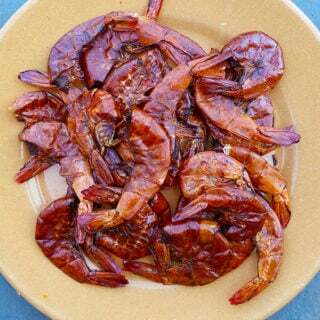 Dried shrimp are a key ingredient in many cuisines all over the world. Here’s how to make them. Goa is a cool part of India that was once a Portuguese colony. 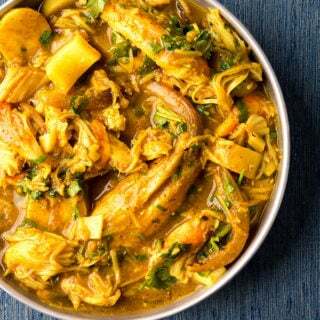 The food there is a mashup of both cultures, and this crab curry is a knockout. 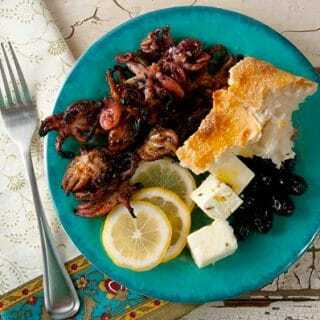 Nothing beats grilled octopus, some crusty bread, good olives, feta cheese and lots and lots of ouzo. Opa! 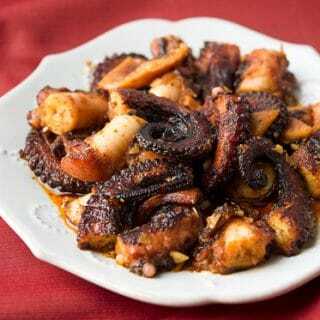 A Spanish classic of octopus (or calamari) braised until tender and served with lots of paprika, olive oil and garlic. 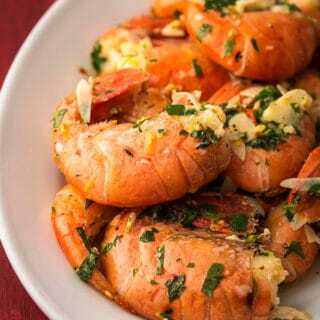 It’s a fantastic party appetizer. Yes, you can eat squid raw. 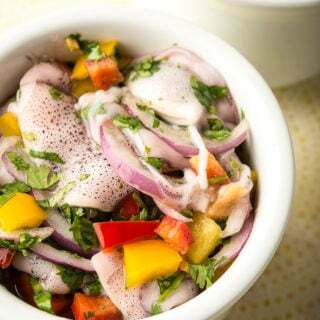 It’s a Latin American tradition, and this calamari ceviche is bright and spicy.